Top of the Pass, a photo by [davidrobertsphotography] on Flickr. 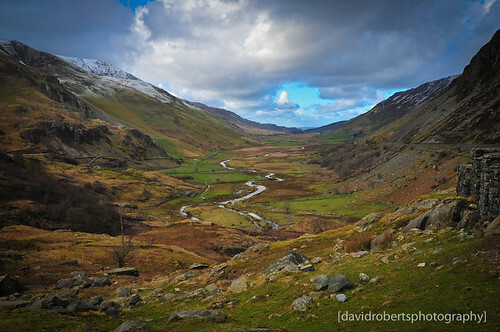 The Nant Francon is a steep sided glacial gorge dropping to Bethesda between the Glyderau and the Carneddau. The right hand side carries the busy A5 road, whilst the left carries a quiet lane from which this photo was taken.